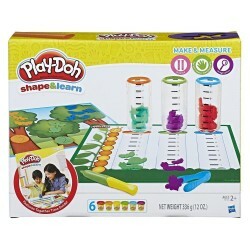 Inspire growing minds and discover the benefits of Play-Doh play with the Make and Measure playset! Did you know that multi-sensory Play-Doh fun can help engage kids in the creative thinking process, which can also help encourage key foundational skills? 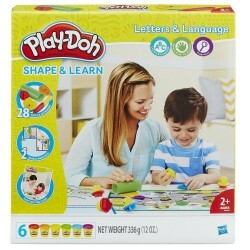 Designed for ages 2 years and up, this set lets kids explore early science skills in unexpected ways with hands-on Play-Doh fun. 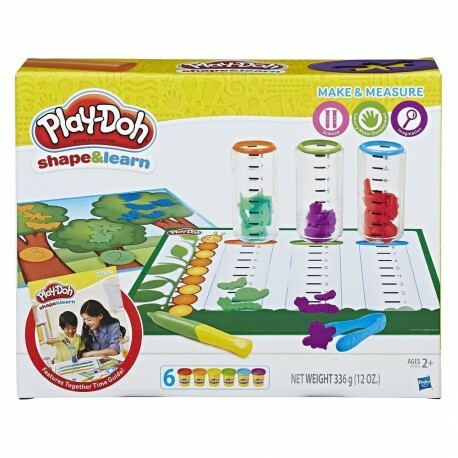 Experiment with the double-sided playmats, bug cutters, and pretend science tools to bring your child's imagination to a world of curiosity and discovery. Kids can compare and contrast sizes and amounts, make observations about what they've made, and graph their results with Play-Doh compound. The Together Time Guide can help you play an active role in your child's playful development with guided activities that let you customize the experience to their level. It's always better to discover together! 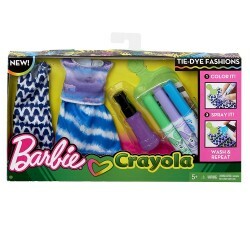 Includes 3 measuring tubes, tongs, 8 cutters, plastic knife, roller, stylus, 3 double-sided playmats, Together Time Guide, and 6 cans of Play-Doh Brand Modeling Compound. Notice to Parents: Contains Wheat.